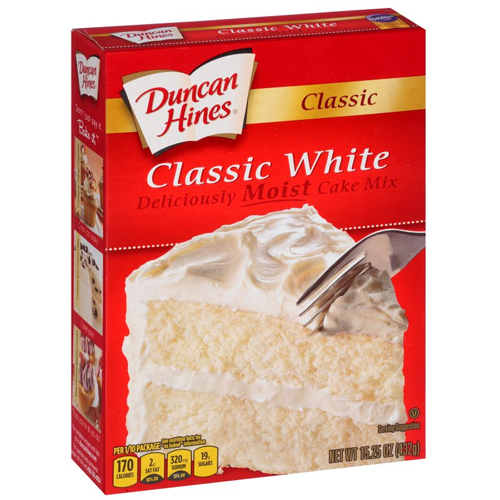 At the urging of the U.S. Food and Drug Administration, Duncan Hines has recalled more than 2 million boxes of its cake mix due to salmonella concerns. Residents in Maryland, Ohio, and Wisconsin contracted salmonella according to the Centers for Disease Control and the FDA. The CDC, FDA, and Duncan Hines parent company Conagra Brands are working together to determine if those individuals were sickened after consuming Duncan Hines cake mix. A number of those sickened stated that they had eaten cake mix “at some point prior to becoming ill, and some may have also consumed these products raw and not baked…"
An easy way to determine if your cake mix is part of the recall is all of the cake mixes recalled have expiration dates of March 7, 2019 – March 13, 2019. The varieties of mixes include Classic White, Classic Butter Golden, Signature Confetti, and Classic Yellow. Because salmonella in Duncan Hines cake mixes has yet to be confirmed, the extensive recall by Conagra Brands is said to be “out of an abundance of caution”.